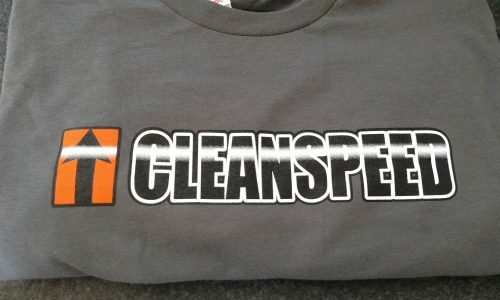 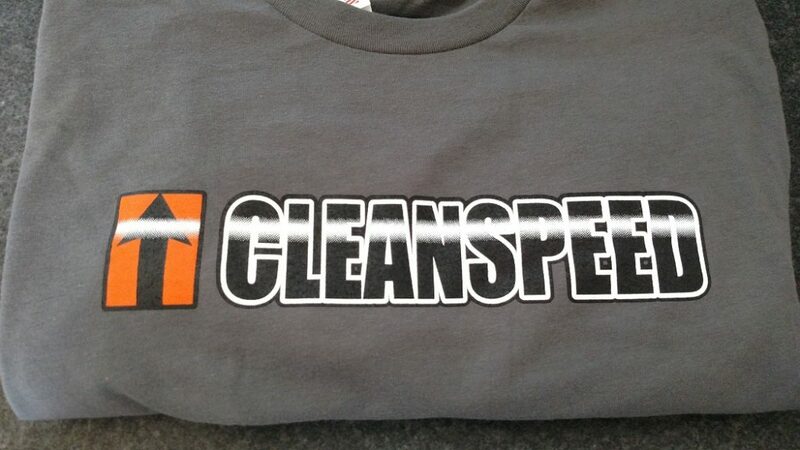 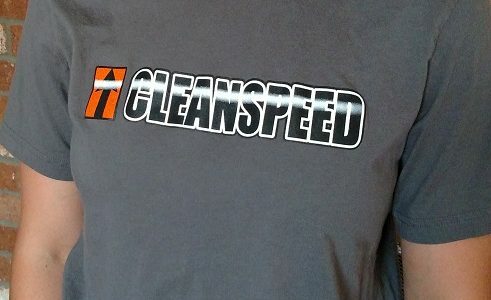 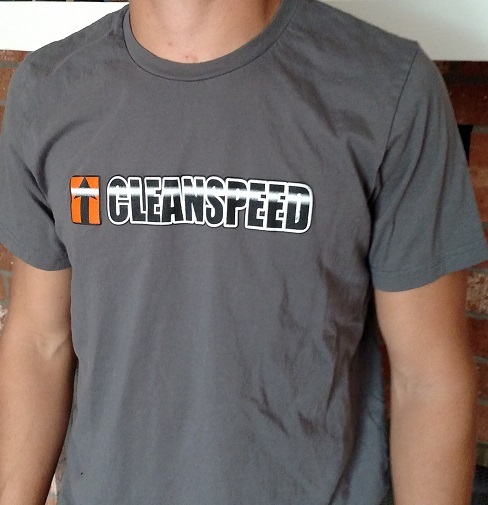 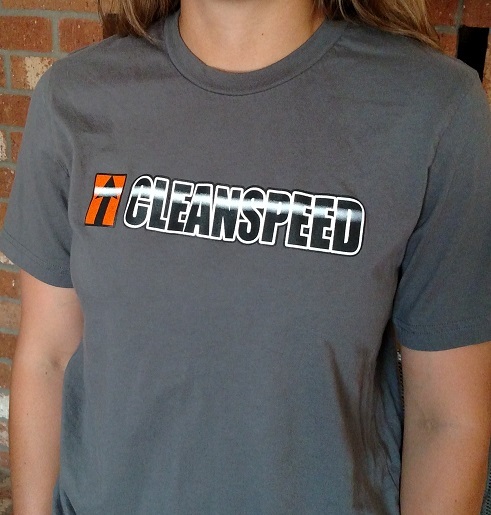 Full Clean Speed logo across the chest of asphalt colored Bella+Canvas, 100% cotton shirts made in the USA and printed in our hometown of Mesa, Arizona. 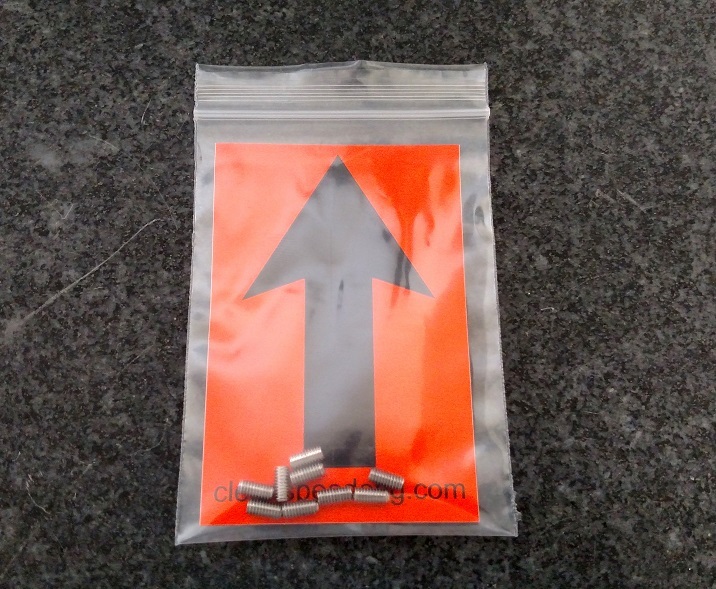 Set of replacement cleats for our Pedal Pads. 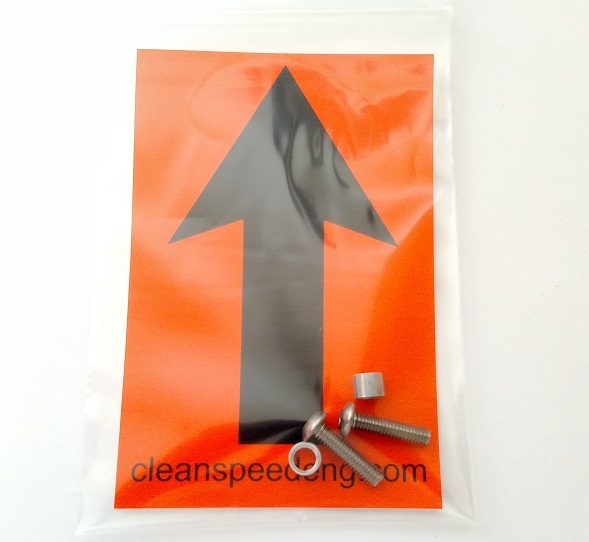 Either stock height or extended that are 2mm (~.08″) taller than the standard cleats used with Clean Speed Brake Pedal Pads. 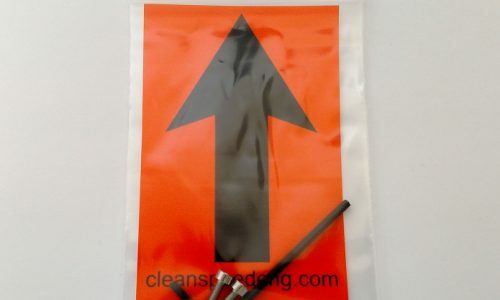 Used when a raised contact surface is desired, or extra relief for extremely muddy conditions. 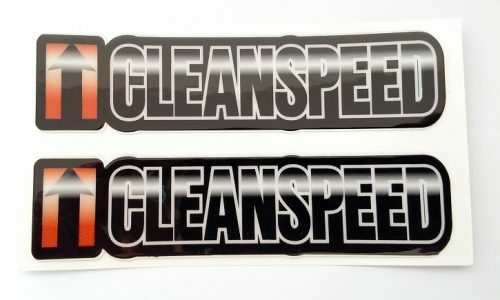 Comes as a set of nine. 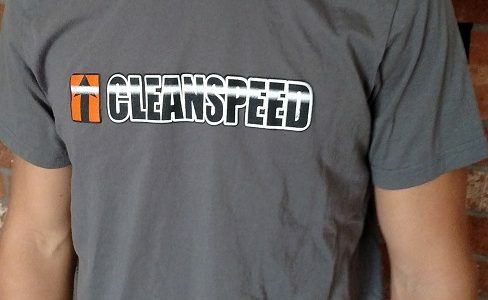 Lost some hardware or just want to freshen up your Cable Guide. 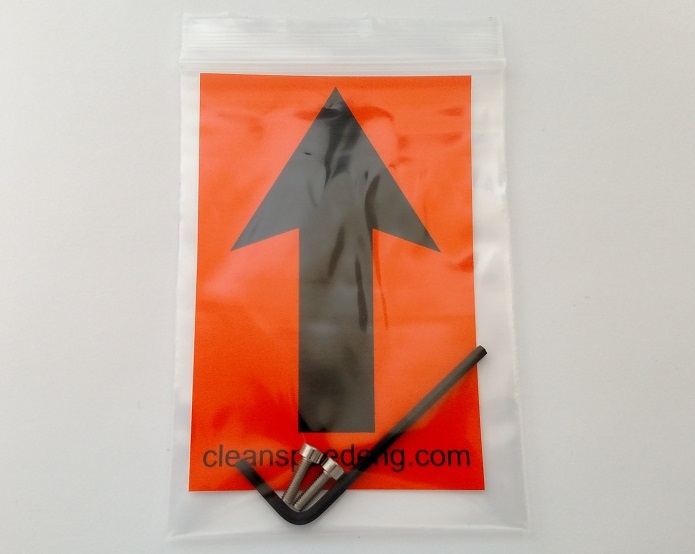 Full hardware kits for our Cable Guides. 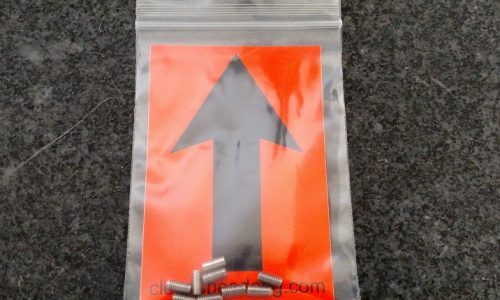 *Standard Cable Guide hardware kit will work for all four of our Standard Cable Guide part numbers. 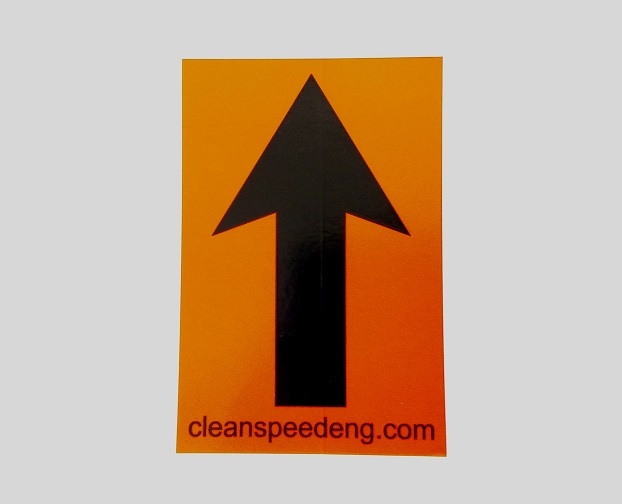 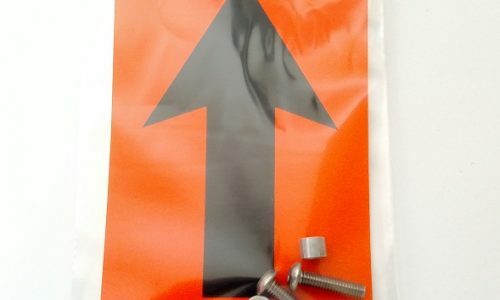 Two types of stickers – the traditional offroad race, up-arrow is 2.5″ x 3.75″ and the full Clean Speed logo is 1.4″ x 5.8″ and sold as a set of two. 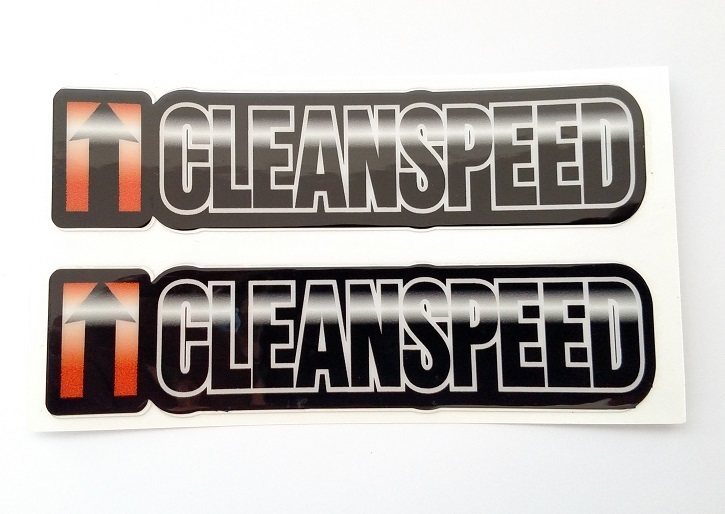 Both are made of long lasting materials made to survive life on an offroad bike.